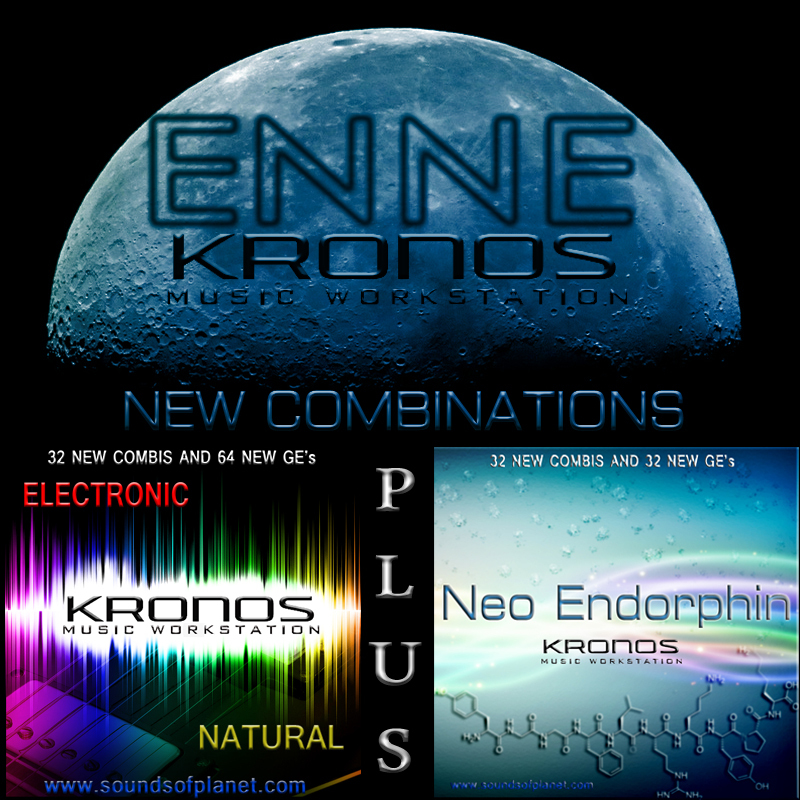 The set called ”ENNE” – is a combined set consisting of two sound sets – new 32 combis “ELECTRONIC-NATURAL” as well as 64new GEs and 32 combis from previous set called “Neo- Endorphin”. Buying this set you can save some money – because you will pay less – than buying each set separately. Prepared package is a perfect complementation of factory installed Combi sets. Many times your Kronos will still surprise you – with strong and aggressive sounds or ambient and cool, easygoing sounds. Unique leads and pads as well as punchy basses are the real advantage of this set. Wide range of styles : Dance, Jazz, Funk, Techno, Trance, Pop, Ambient, Rock will ensure many hours of professional work as well as really great fun with the instrument. We deliver you these new combinations or programs included in an Email you get directly after your payment – due to possible time zone difference, allow us reasonable time for response; we do our best to deliver your purchased sounds as soon as possible, but in some rare cases it can take up to 8 hours maximum. link to find out more details.